Mount Isa Airport is located at the heart of one of the world’s most significant multi-mineral deposits. Mount Isa is the mining capital of North-West Queensland and its wider Mount Isa mineral province is a major source of the world’s lead, zinc, silver, copper and is also home to one of the world’s largest underground mines. 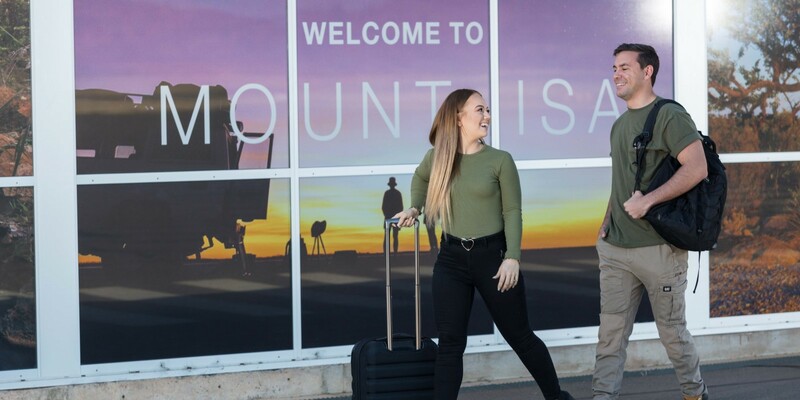 Mount Isa Airport services the huge mining sector growth and is the gateway to the Queensland Outback that welcomes a growing number of tourists. Mount Isa Airport is located on Barkly Highway and is approximately eight kilometres from the city centre. Mount Isa Airport is 100% owned by Queensland Airports Limited.